"So, how did this happen when the CPUs came from a legitimate site like Amazon? 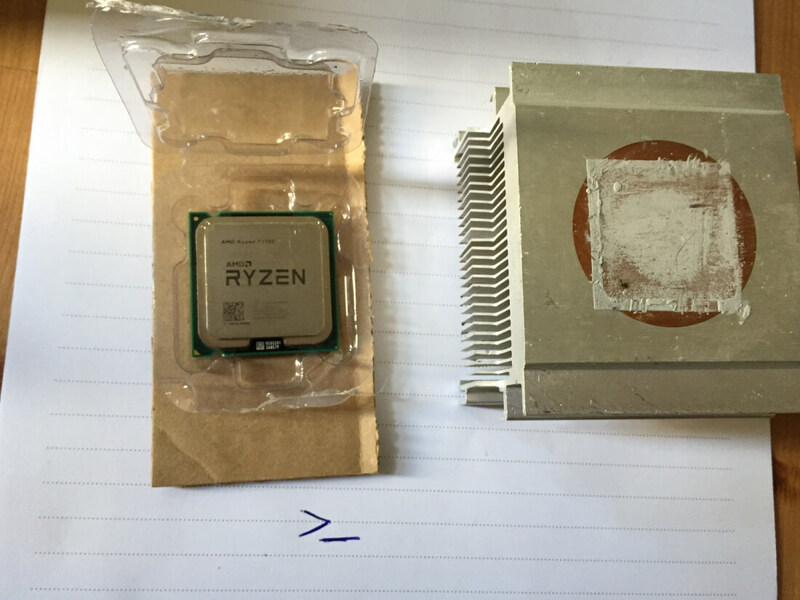 It’s strongly suspected that the perpetrators are using RMA fraud: ordering the Ryzen 1700s for themselves, swapping the chips with doctored Celeron CPUs, resealing the packages, then returning them to the retailer. The similar size and weight, along with the stickers, appear to be fooling Amazon’s workers into thinking they’re the real products." 1. If the package is "sealed" but looks like it's been half melted with a cigarette lighter / glue gun, that's the first obvious red flag. 2. 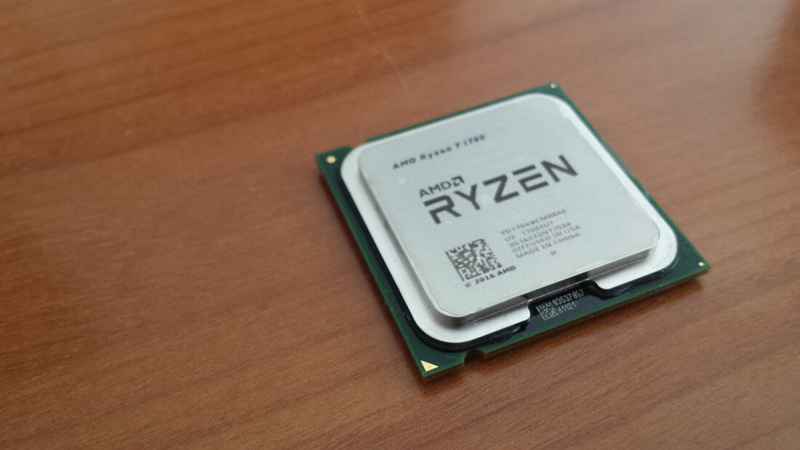 Don't Ryzen's have pins on the CPU, whilst Intel's have pins on the motherboard? I'm pretty sure you can see that obvious difference through the transparent package. killmess and Reehahs like this. rpjkw11 and qking like this. rpjkw11, qking and wiyosaya like this. I haven't read the entire reddit posts but they are most likely buying open box items. I purchase a lot of open box tech items on amazon (returns are free for amazon prime members) and I have been shipped incorrect routers, mice, motherboards, etc., etc., All came in the correct package, correct brand, but were a cheaper model (e.g. receive a box for an Asus AC 1900 router to find an Asus N600 router). rpjkw11, wiyosaya and Reehahs like this. Amazon is a marketplace. Im interested which seller they bought it from. Was it a 3rd party seller? I only buy items sold by amazon or fulfilled by amazon. Our company sells on amazon through amazon. It's not that hard to place fraudulent products on amazon through FBA (fulfillment by amazon) in fact at times their marketplace feels over-run with chinese knock offs and while they do a decent job of taking them off the site they do take their time. As for controlling your inventory, they will use someone else inventory to fulfill your order if the storage location is closer to you the buyer. They simply then move over one unit from your inventory to the other merchants. Your best bet is often to look for "sold and fulfilled by amazon" Amazon owns the inventory and sells it or look for a major brand like "sold by Samsung fulfilled by Amazon". The brand refills the inventory in Amazon's warehouse themselves. rpjkw11 and SantistaUSA like this. 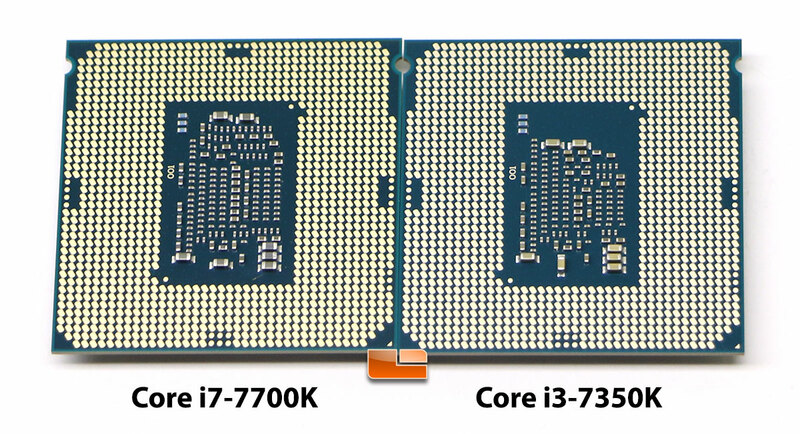 I know Intel now has its back against the wall with AMD's newfound competitive spirit, but with them shipping Celerons in place of Ryzen CPUs, is this not going a bit too far, Intel? stevae, rpjkw11, Tanstar and 1 other person like this. And to top it off, Amazon will deny they have any problems. Not just AMD CPUs. The same is happening with the more expensive Intel CPUs too. Which is why they shipped overnight replacements and even gave the victims gift cards, that totally sounds like ignoring complaints and denying problems. Did you even read the article? mbrowne5061 and Kenrick like this. I'm not surprised. I work retail and am one of the managers in customer service, sometimes I help my counter staff inspect items and I'm pretty good at catching customers trying to fraud us. Last one was a "good customer" that had spent $16k with us with no returns, no adj or courtesy letters, so everything he bought he kept but last month he bought a $380 receiver and decided to return it a week later stating that he didn't want/need it. I looked into it and the model inside of the box was completely different (same brand tho), I looked up his account history and found that the receiver he was trying to return was purchased 7 YEARS ago!!! I've contacted our LP dept and managed to get him arrested. rpjkw11 and wiyosaya like this. Amazon sending fakes is actually old news, but I had no idea it extended to cpus. 1. They don't check properly. 2. The people they employ have no idea about this stuff and won't be trained on it - with the quantity of stuff Amazon sells they'd have to train them on so much stuff. 3. You'd hope so, but honestly I wouldn't be surprised if they don't. Amazon sells at such high volumes its cheaper to write off the cost of these instances and give credit away to compensate. It's cheaper for them than putting the time and money into a more technical returns department. SantistaUSA and BSim500 like this. Quickly, now! Call Jeff Sessions - he will love that tack! There are people out there that do not realize what Amazon is really like. Dancing around the issue with credit, etc., is not fixing the problem, nor is it even acknowledging that it even exists. It is CYA tactics from Amazon while the practice will undoubtedly continue until Amazon realizes that the problem is that some scammer(s) is(are) presently doing something they Amazon is not set up to handle and goes after the scammer(s). These replies about Amazon not caring or wanting to hire a crew to handle returns are interesting, too. Amazon, Bezos in particular, has $$$ coming out every orifice and can certainly afford to hire a crew to properly check returns. Yet Amazon does not and it is costing them in terms of reputation. For me, that reputation is already near the level of something that flies land on. It is also costing them money, too. Well on the bright side at least these CPU will overclock worth a damn. What do you know, these Celeron CPU's are good for something after all. Whoa, not so fast. An Intel CPU is in a transparent sheath, true. But, unless you have X-ray vision, you can't see the back of at, as it faces inward. 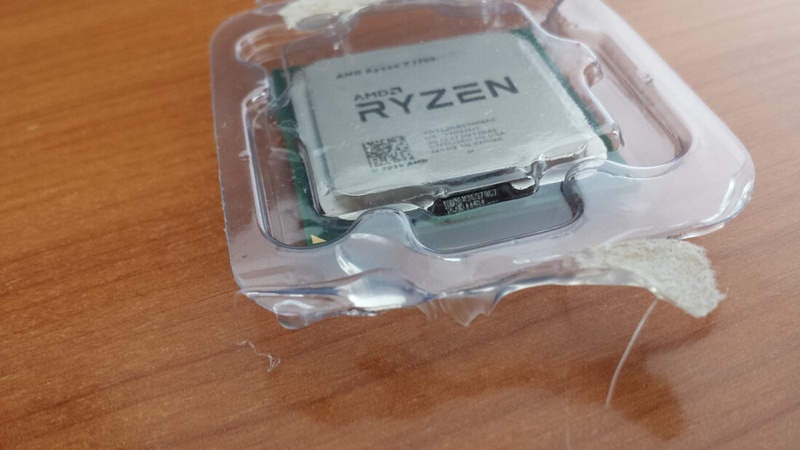 You have to break the seal to see the back of the CPU. I always though AMD had a very slight of a goldish, bronzish tint to the lid. But then I don't care, and I don't own one, so I could be wrong. I searched my account at Newegg and couldn't find serial numbers on any invoices. This doesn't protect you either, just means a seller is using Amazon Warehouses to sell and distribute items you can still got dodgy chinese companies selling fakes and advertised as "fulfilled by Amazon". The advantage though is the great return system. When ever I have had an issue with an Amazon order they send out a prepaid shipping label and collect the item within 24 hours. Sure I have to wait for them to receive it before they ship a new one out (the odd time they do actually ship one out as soon as they confirm collection) but its a lot less hassle than having to deal with other companies. I agree. If amazon is out of stock, I usually go to a seller that is fulfilled by amazon. The chance of having a fake is smaller compared to other 3rd party and newly launched sellers. I usually check the feedback if its fulfilled - not the 5 stars but I read the 4 and 3 stars to lessen the chance of paid review. You are right of the great return system . Really one of the best out there. They usually give me credits. Again I hope they quote who is the seller was, was it a 3rd party, a fulfilled 3rd party, or directly came from amazon.com.